A Tampa Bay area business hopes free beer an and a movie will help folks impacted by the government shut down relax and unwind. SAFETY HARBOR, Fla. — A Tampa Bay area business hopes free beer an and a movie will help folks impacted by the government shut down relax and unwind. Gigglewaters in Safety Harbor plans on doing this until the shutdown ends. "Back pay doesn’t help when you have to put food on the table,” said Rachel Fine, owner of the restaurant on Main street. She says it’s the least they can do for folks in the Coast Guard, TSA and other essential agencies forced to go to work with so much uncertainty. "We have a neighbor who is a member of the Coast Guard and to watch with their families going through it’s upsetting,” said Fine. 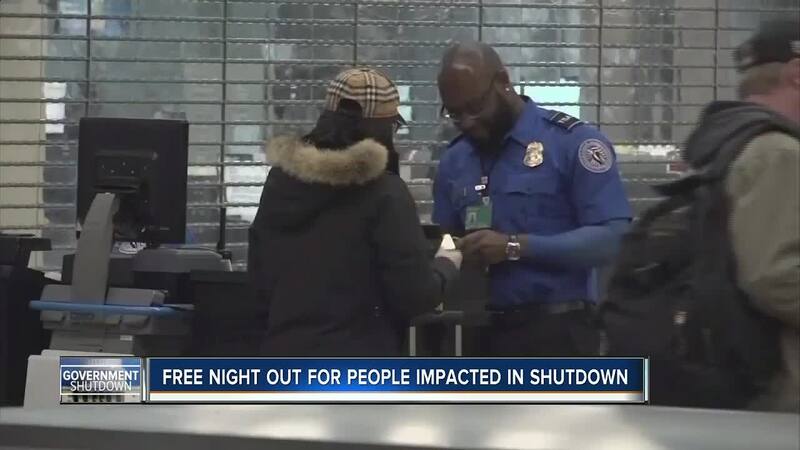 She says federal employees that want to get their mind off things can check their website for movie times and any unsold tickets before the movie begins are open and free for them to grab. Plus, beer is included. "It’s a decisive time in this country. I don’t care what political party you are, at the end of the day were all Americans we all have family members and friends and neighbors affected by this,” she said. Folks just need to bring an ID or pay stub that proves they are a government employee. She’s hopes other businesses join in and help out too. "If anyone’s out there that’s watching wants to donate beer in the heart of this reach out to us because we would love to have the help,” she said. Click here to check out movie times and learn about about Gigglewaters.